Orcadians have always been adventurers. We have a large collection of artefacts collected by these travellers, and taken home to Orkney. 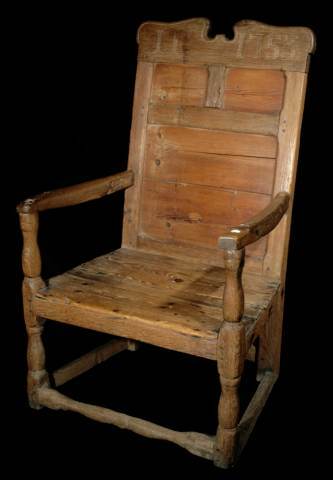 A high backed decorated armchair with footrest. It has bone inlay decoration, carved bone beads and woven decorated panels. Height 1280mm, width 740mm, depth 535mm. 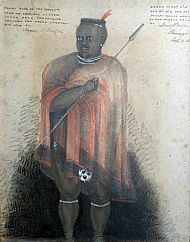 It was presented to Sir Robert Hamilton, MP for Orkney and Shetland, by an African chief. Lady Hamilton presented it to the Museum in 1958. 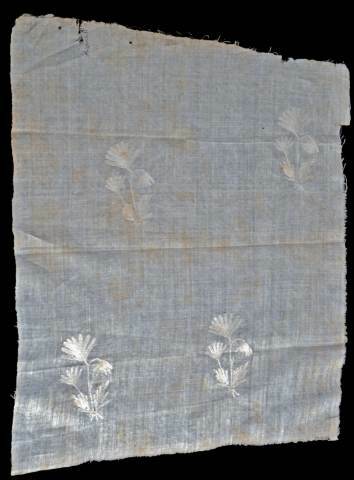 A piece of flowered muslin from the wreck of Svecia which was a Swedish East Indiaman. Svecia was blown off course and wrecked off North Ronaldsay on 18th November 1740. 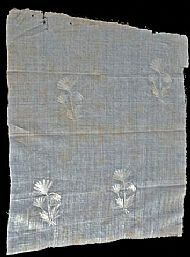 This piece of muslin, originally from Bengal, was salvaged a year later by William Evans 'an experienced and honest diver' operating from the sloop Dolphin. He sent it to his employer, the Earl of Morton. Coloured ink drawing with the words 'Panda King of the Zoolus from an original sketch taken when travelling hrough the Zoolu country Dec 1850 by James B West Jnr. Drawn in Lat 5 degrees 20"N Lon 27 degrees 33" W and presented to Capt Thomas Heddle of the barque Nepaul by James B. West Jnr Aug 19 151'. After Captain Cook's death in Hawaii in 1779, his ships lay in Stromness in 1780. 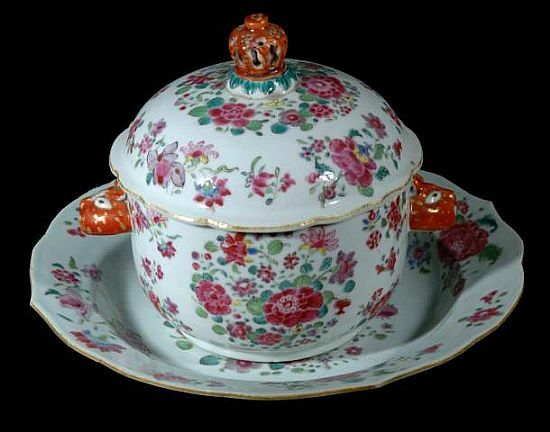 His dinner service of Oriental Lowestoft china was acquired by the Watts of Skaill House, Sandwick where much of it is still displayed. 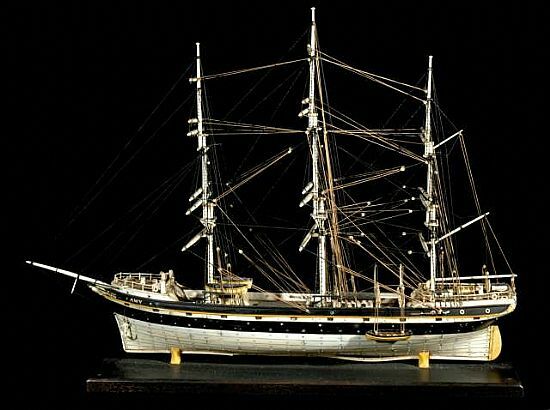 Model of line of battle ship made from bone by French Prisoners during the Napoleonic Wars. Length 190mm, height 140mm. 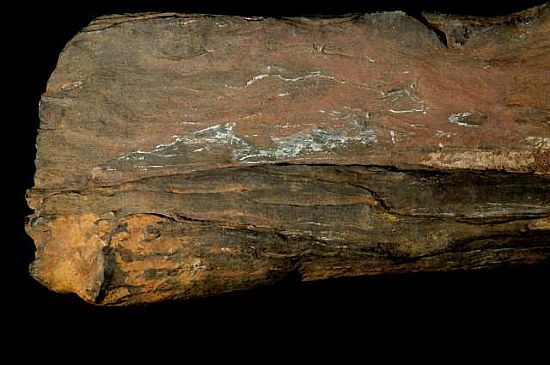 Piece of red dyewood used in dying cloth. Dark brown very dense wood with rust colour running through it. From Svecia, wrecked off North Ronaldsay on 18th November 1740. 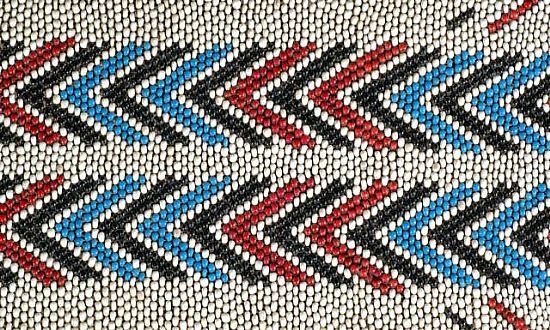 Band of beadwork. Part of an African chief's ornaments. Donated to the Museum in 1912. 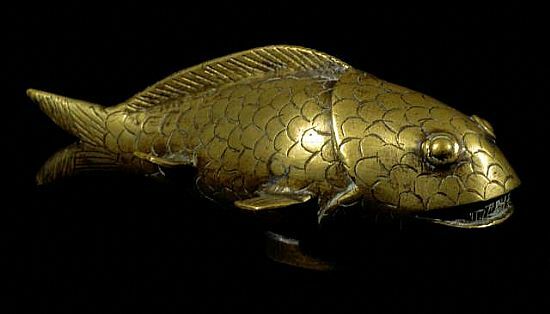 Brass fish with an open mouth, etched scales and fins. From Benin City, Nigeria. Length 140mm. 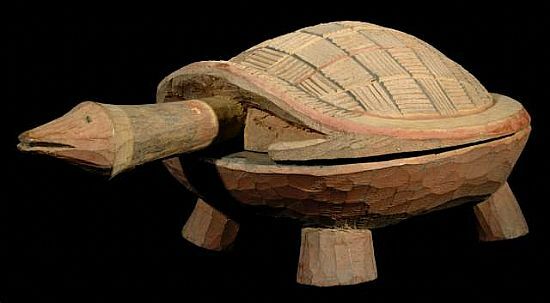 A wooden food bowl and cover in the shape of a turtle. Length 13 inches, width 7 inches, depth 6 inches. From Nigeria. Club for deflecting spears and for hand-to-hand combat. Brought home from the Solomon Islands by David Renton Baikie, nephew of Jack Renton, in the 1930s. Dark hardwood with ochre and red raffia decorative covering on the main part of the shaft for grip and decoration.